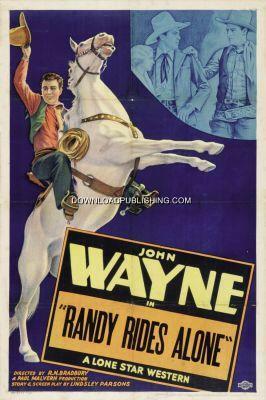 Randy Bowers (John Wayne) rides into town, where his first stop is the Saloon. He walks in to find everyone dead and the Safe open and empty. The towns people run out to see what all the gun fire is about and find Randy right in the middle of it. He's arrested for multiple murders but the Saloon Keepers daughter sets him free to find the real murderers.